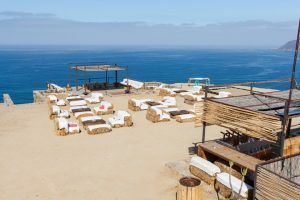 The 2017 Vendimia wine events and festivities in Guadalupe Valley, Ensenada. From August 4th to the 20th. During this time, every local wine house offers and organizes their own party and dinner to celebrate this year’s harvest. Most of these events are public and open to everyone. 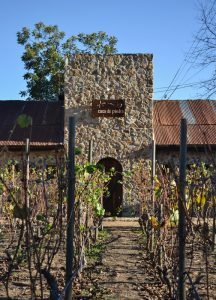 The smallest more private wine producers offer a more expensive and more private wine tasting experience with an astonishing display of food and wines that Baja has to offer. Nothing more fulfilling that having some chilled peach or apricot infused wines during the scorching summer days at Guadalupe Valley and at night with the fresher temperatures uncorking a local wine. Infrastructure at the Guadalupe Valley has been growing at a fast rate in recent years. High demand of nationals coming to this hidden gem as well as a big influx of American tourists that are preferring the warmth and the culture of the locals than to visit their own Napa Valley. Guadalupe has a mysticism and charm. 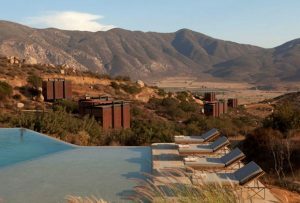 A small rustic town kind of feeling surrounded by Mexican colors, ambiance, and landscapes that captivate tourists from the States. So how is it over there? There’s an inherent relation between the big boom and the quality of the services offered. Many high profile residents from all around Mexico have settled this land. From successful architects to world-renowned chefs and artists. The eclectic mix of personalities gives Guadalupe a really special feeling, you feel welcomed from the moment you arrive. Prices although higher than the average Mexico, still are way cheaper (the installations and services are even better) than traveling thru high-end spots in the States. 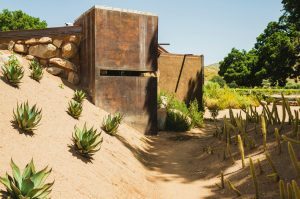 I had the pleasure of attending La Lomita and Casa de Piedra parties and was blown away by the beauty of their wineries. Surrounded by nature, amazing architecture and delicious food. These are hand down two of the more sought after wine events every season, so if you are looking for tickets get them in advance. If you’re planning to attend the vendimia, considered the finest wine tasting experience, do so in advance. Tickets are sold out really fast. Although there has been an increase in boutique hotels and rooms in the area this has become an incredibly popular summer destination that gets packed especially during this weeks. The festival is not entirely in Guadalupe Valley, discover the Verbena! 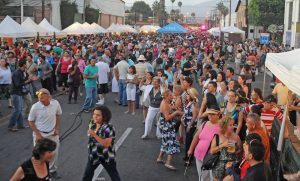 Most of the main Vendimia events in the Valley are privately organized by each of the wine houses. Although entrance is for everyone, the events held in Ensenada are organized by government or collaborations by civil organizations. The festival of Conchas y del Vino was held last May but you can still attend the Muestra del Vino over at the Hotel Riviera and the famous Verbena street festival. The Verbena is so much fun. A long time ago before the Valle was developed, the wine was stored in huge wine cellars(bodegas) in the city center. Two street blocks of beautiful old and very well conservated bodegas that reminds one of the rustic colonial Mexico. So, the street is closed for this event and gets packed with people but that’s the neat part. Everyone is walking from vendor to vendor having fun enjoying their times. You will find many unpretentious, cheap and still really good wines and amazing soul food. The Verbena is a must for this year so don’t pass out on this opportunity! The Verbena is so much fun. A long time ago before the Valle was developed, the wine was stored in huge wine cellars(bodegas) in the city center. Two street blocks of beautiful old and very well conservated bodegas that reminds one of the rustic colonial Mexico. So, the street is closed for this event and gets packed with people but that’s the neat part. Everyone is walking from vendor to vendor having fun enjoying their times. You will find many unpretentious, cheap and still really good wines and amazing soul food. The Verbena is a must for this year so don’t pass out on this opportunity! The closing of Vendimia is the 20th of August during the Festival de la Paella (Paella Festival) held in Viña de Liceaga. Over 50 different wine estates offer more than 130 different varieties. But the cool part is the 90+ paella teams that compete for the coveted #1 price. Bring your own wine and drinks in a cooler, this is permitted and super recommended. (it gets really hot although the area is covered by trees that give lots of shade). Next story Need Mexican auto insurance this summer? Get a free quote. Buy and print online!